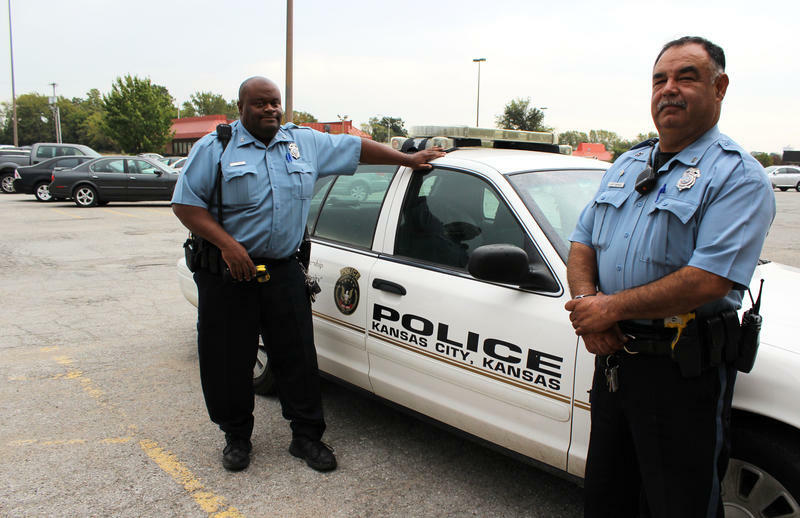 The Kansas City Police Department recently made changes in how it approaches community policing. In a controversial decision, Chief Darryl Forte recently dissolved the position of community interaction officer, in favor of having all officers considered community cops. Officer Jason Cooley helped eight women find jobs at a local hotel as a community interaction officer in the Kansas City, Missouri police department. Some people in high crime areas say they've seen a benefit from having the same officer show up at neighborhood meetings and deal with their specific needs. And this story of an officer and a homeless woman with a felony drug conviction points to the successes of the recently abandoned program. Shauna Patterson’s job at the Hampton Inn on the Plaza is to make sure all the rooms are “guest ready.” As a supervisor of housekeepers, she checks in on each of the rooms on the two floors she looks after. "When I come in ,the housekeepers usually have all the lights on to make it look welcoming," she says as she goes into the bathroom and flips on the faucet. "I check the showers to make sure there's no hair anywhere." Shauna Patterson says she loves coming to work at The Hampton Inn, and says she has Officer Cooley to thank for her job. With youthful brown bangs and an endearing smile,the 41 year old looks more like a homecoming queen than a former felon and homeless meth addict. Patterson says it all started when she got busted for having a sugar bowl full of methamphetamines in her house. "I would say a little over 3 years ago, I got picked up on a warrant. It was for possession of an illegal substance," she explains in a halting voice. "I had been running from the law a little over a year." She says she slept under bridges and in casino bathrooms. Patterson had an earlier offense and been released into treatment once. She knew she'd be held accountable when she started using again. She knew she'd made a really bad choice. "Because I knew I’d already had a chance, I knew they would take me to prison," she says. "So they picked me up and I went to Platte County jail, and sure enough they took me to prison." At the Vandalia Correctional Center, Patterson discovered she was pregnant. She was released after several months, went through a string of treatment programs, and ended up at Sheffield Place, a center for homeless women and mothers in Kansas City's Historic Northeast. As it turns out, the community policing officer for that neighborhood, a veteran cop named Jason Cooley, had been showing up at Sheffield Place on his regular beat. He knew how the shelter operated. "The beautiful thing about Sheffield is they have services," he says. "Budgeting, how to pay bills, some of the things some of these individuals have never been taught." At the same time, he was on an agency board with Christina Roth, the general manager of the Hampton Inn on the Plaza. She told him she was having a hard time keeping staff at the hotel. That sparked an idea. "A lot employers don’t want to take the risk of hiring a felon," Cooley says. But he was confident his friend Christina Roth would be on board to consider hiring some of the ladies from Sheffield. "He introduced me to Sheffield Place because we were looking for a good partner to have some employment referrals from, and he highly recommended them," Roth says. Thanks to Jason Cooley, Hampton Inn now employs eight women from Sheffield Place. At Sheffield Place, women learn a host of life skills, including interviewing and dressing for work. What will changes to community policing mean? They know Officer Cooley at the Eleos Coffee Shop, also in the Historic Northeast. He's friendly with the baristas. He helps the homeless people who may be sleeping on the sidewalk and visits with the guy who plays guitar on the corner. 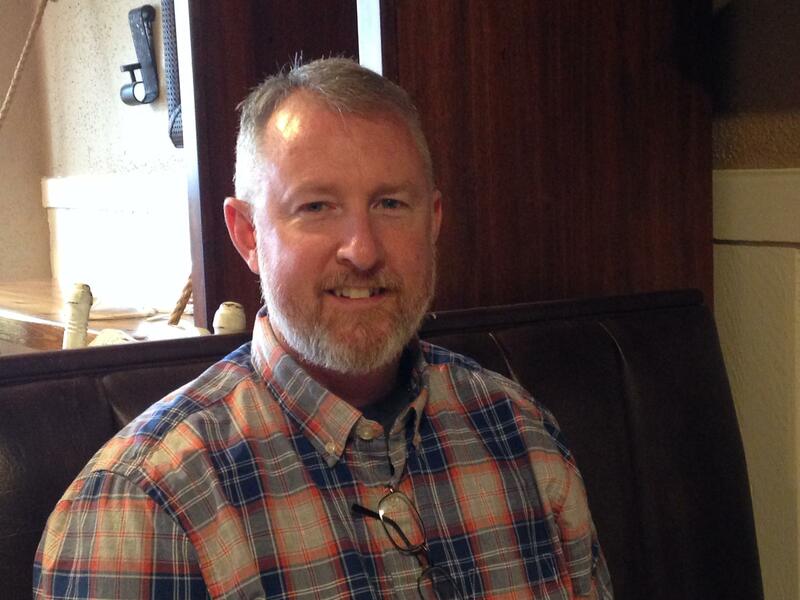 For his success building bridges and connecting the needy to services and jobs, Cooley was named Officer of the Year by the Missouri Peace Officer’s Association last year. He was praised for programs like “Coffee with a Cop," for leading neighborhood cleanups and working with local businesses on how to deal with nuisance offenders. "Ultimately it’s in everybody’s best interest for our community as a whole to have stability," Cooley says. "When people don’t have stability that’s when they turn to other things like crime and create negative ripple effects in the community." Cooley recently shifted to a job with the department’s anti-crime program — the Kansas City No Violence Alliance. 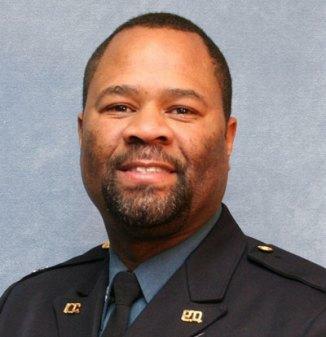 A couple of months ago, Chief Darryl Forte dissolved the formal community policing program. He said that the program works so well that he wants every officer to engage with the community in the same way. But social service agencies and community groups worry that doing away with one person whose job it is to come to neighborhood meetings and work intimately with residents and businesses will do away with creative community efforts like the one that helped Shauna Patterson. The police department declined to address these concerns. "All KCPD officers are community police officers," a spokesman for the department said in an email. 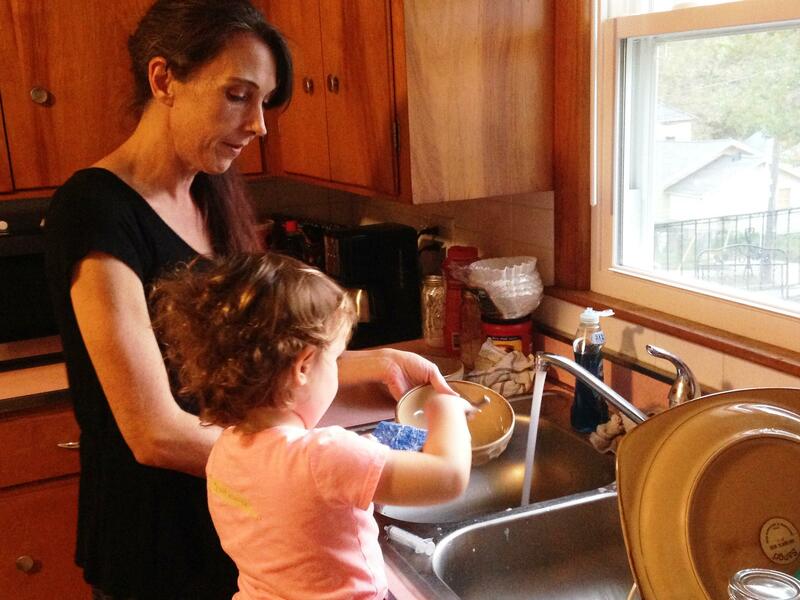 Back at the Patterson home, a tidy duplex not far from the Sheffield House, a toddler has pulled up a chair to the kitchen sink and is helping her mother do the dishes. "O.K., here's a big one to scrub," Patterson says, handing her baby girl a saucepan to sponge out. Patterson says being under one roof with her family is the gift of one community interaction officer. "A big one!" the little girl chirps, stretching to reach the faucet with a soapy sponge. Patterson's teenager now lives with them as well, after spending years with her aunt while her mother was getting clean. Patterson crosses her legs on the comfy couch. She says ten years ago, she couldn't have imagined having her own home, and her children living with her. "The thanks and gratitude I feel toward Officer Cooley and Sheffield, it has just been great," Patterson says. "I love getting up and going to work every day and I’ve never in my life felt that before." Cooley says he and his colleagues continue to see connecting people to services and jobs as part of their mission. But there will no longer be officers in the Kansas City Police Department for whom this is a full time responsibility. It’s a cloudy afternoon in Kansas City, Kansas. Officer Kevin Terry buckles up in his old, white cop car before heading out to visit a Head Start preschool. He recently met one of the coordinators at a neighborhood association meeting. “I told her I would stop by today to talk about a possible ‘stranger danger’ lesson she wants to give to her kids,” Terry says. The Kansas City (Missouri) Police Department searched far and wide for a new chief last year. Finally, they chose from within its ranks: Darryl Forté. Tuesday on Up to Date, Steve Kraske welcomed Chief Forté to talk about Kansas City's consistently-high homicide rate, community policing, and his background.